January, legumes time. Anyway, every month of the year. Legumes are a essential ingredient of Spain culinary heritage, due to their high content in proteins and carbs and to their affordability. Legumes were associated in my country during a long time with fat, high cholesterol and unhealthy meals due to their traditional association with pork ingredients as tocino, chorizo and morcilla. Luckily this myth is down nowadays and bean, garbanzo beans and lentils are recovering their role in our cooking dishes again as a realy vesatile ingredient that will fuel you for hours. I´m happy to see that legumes are more common nowadays into the American diet too although I see them most of the time in Hummus and Lentil Soup. I´ve always thought that the best way to be respectful with Mother Nature is to eat less meat, more veggies and local production. PNW Farmers Co-op mission fits perfectly with my idea, as Kim and me have discussed many times. So I´m proud to share with you our particular collaboration with this cooperative. They will provide me ingredients to play in my kitchen and I will provide them new recipes most of them from our traditional Spanish heritage. And both of us will show you that preparing new dishes from dry legumes is easy, fun and healthy. 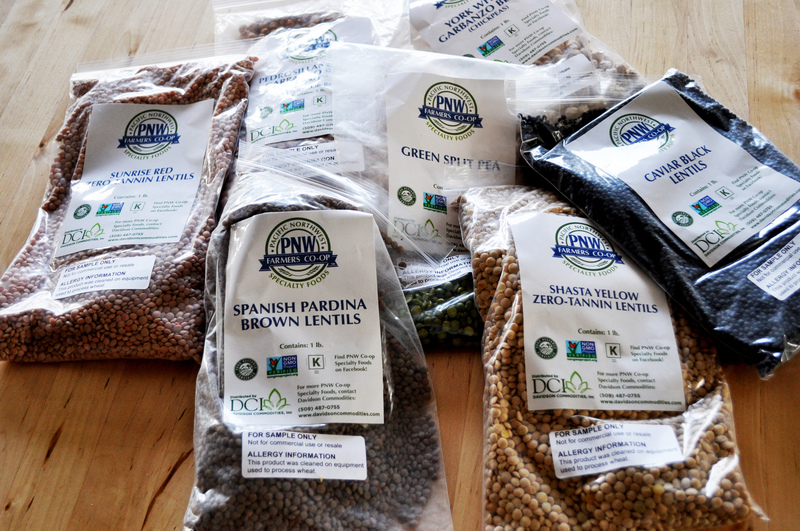 Ironically, many of the products that PNW Farmers Co-op has sent are new to me, like caviar lentils, so It´s going to be a trip full of discoveries for everybody. Do you want to join me? Posted on January 11, 2014, in Companies, Healthy life, Products and tagged garbanzo beans, healthy food, legumes, lentils, peas, PNW, PNW Co-op Specialty Foods, Spokane. Bookmark the permalink. 1 Comment.